USA Today catches current viewers up with a refresher, while the AP insists it's not too late for newcomers to join in, offering an overview of the general setting, the major families, and expectations for what may be coming down the pike. There have been 2,339 deaths (!) on the show to date, and it would be incomprehensible that Season 8 wouldn't offer a few more. For those who need a reminder, the Washington Post has an illustrated guide detailing how each ill-fated character met his/her/its demise. Confused about how Daenerys and Jon Snow are related? We're still trying to get a handle on it ourselves (we just get the feeling they shouldn't be making out), and so are many other viewers. The Wrap notes that question is among the show's most Googled. Check out what other queries have been weighing on fans' minds (and manifesting in internet searches), as well as the 25 biggest questions the show needs to answer, via Vulture. One of the most anticipated reveals that fans are hoping for: finding out who will take the Iron Throne. 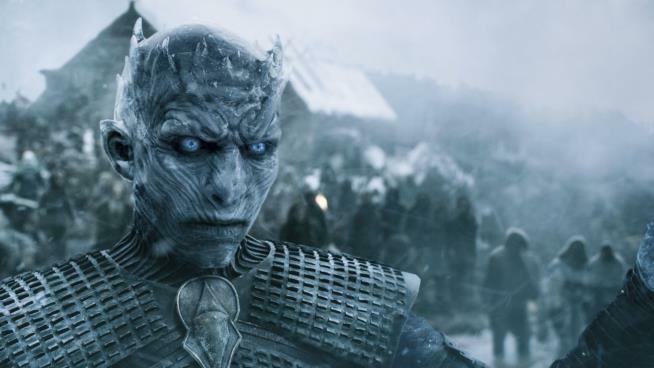 Greg Braxton makes the case for the Los Angeles Times that it's Bran Stark. Braxton contends Bran's "destiny" was foreshadowed right from the very first episode. Little Lord Umber died tonight. A few shipboard guards died when Theon liberated his sister. I just want Aria to use little fingers face.